The Cloister Inn is located right in the historical centre of the Golden City, in a side lane almost free of traffic only an inch from all important monuments. After a whole day of walking you definitely appreciate the immediacy of the Cloister Inn location and complimentary refreshing cup of coffee or tea in the lobby.In winter 2009 refurbished, the Cloister Inn Hotel provides you with superior 3* standard. 74 comfortable en suite rooms on five floors were carefully renovated and offer everything you need like wireless internet, air condition, satellite TV, direct dial telephone, and electronic safe box. 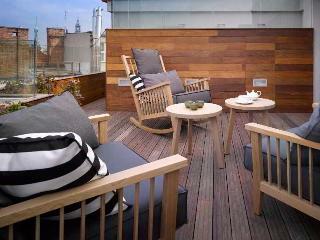 This elegant, luxury hotel is located in a peaceful and pretty lane, just a few steps from the old town ring. The important sightseeing attractions are all within walking distance and restaurants, bars, pubs and nightclub are all located on the doorstop. Luxury boutique hotel in the heart of Prague offers amazing experience in 48 unique rooms and suites. Rooms are located in the 14th century building which was carefully renovated with all modern upscale facilities and comfort, while retaining its original works of art, charm and ambiance. This hotel is in a great location amidst the greenery close to Motol Park and the golf course, with easy public transportation connections to the city centre. Prague Old Town and Charles Bridge are approximately 5 km away. 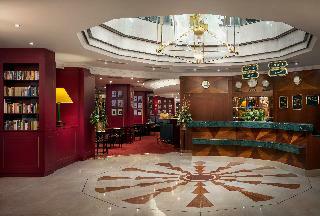 The hotel welcomes guests in a lobby with 24-hour reception, hotel safe, currency exchange, a cloakroom and lift access. 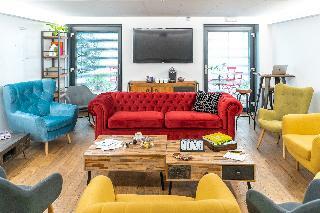 Guests may also use the TV lounge, cafe, bar, restaurant, conference facilities, WLAN Internet access, a laundry service and a car park. 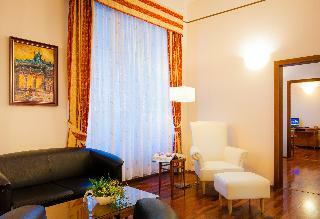 Hotel OPERA is a Neorenaissance family-owned hotel located in the centre of Prague. 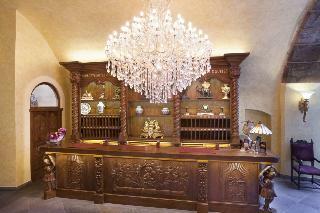 It´s been completely reconstructed to ensure full comfort of the guests. Each room has an air-conditioning, high speed internet access, satellite TV, direct dial telephone access, a mini-bar and a room safe. 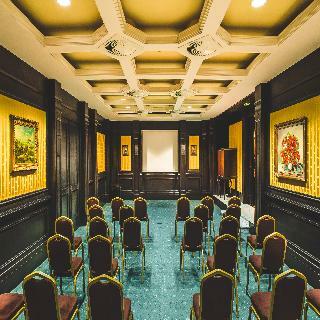 Other hotel amenities include a restaurant, a bar, room, concierge, business and valet parking services, a dry sauna and a fitness room and private meeting room.Our hotel is situated in the center of Prague, within close proximity to shopping, banking and historical treasures. There are 67 rooms, including six Deluxe rooms and two Suites. Our hotel's restaurant, which is located on the ground floor, offers our guests a pleasant family atmosphere and good food. In addition to our regular full menu, we serve Czech traditional specialties during lunch. The COSMOPOLITAN is a gorgeous 1889 townhouse carefully restored with a modern touch of the “belle époque” style. The newly redesigned luxury boutique hotel retains gentle aspects of this magnificent historic building, but transforms the interiors to create a dynamic mixture of old and new, past and present. The hotel is ideally located on a quiet street of the Prague Old Town, only a few steps from all important shopping and sightseeing attractions.106 lavishly designed rooms and suites are decorated in elegant cream shades accenting contemporary accessory colours, specific to each room type. Luxurious bathrooms spoil with great size, heated floors and mirrors. The bedrooms come complete with plush amenities including complimentary tea & coffee, interactive TV, bathrobes & slippers or minibar, as well as many safety features. 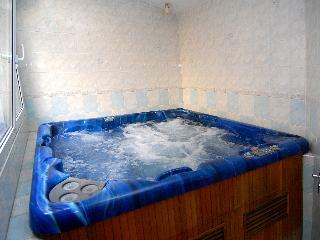 For relaxation or exercise a 24-hour gym and sauna are also available complimentary. Free Wi-Fi throughout. Smoke-free policy. This striking, modern design hotel is situated on a quiet street in the centre of Prague, only ten minutes' walk from the old town square and celebrated astronomical clock. The banks of the Vltava River and the nearest tram stop can both be reached in just three minutes and Namesti Republiky metro station is 450 metres away, providing easy access to attractions such as Prague Castle, Charles Bridge and Wenceslas Square.The plush rooms and suites are stylishly decorated and feature a range of modern amenities, including complimentary Wi-Fi Internet access, large flat-screen televisions with 60 international channels and handy coffee/tea makers. Guests can start the day with a delicious buffet breakfast in the hotel restaurant, which serves international and Czech cuisine with a modern twist for lunch and dinner. 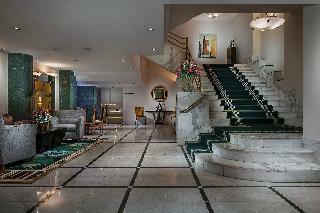 This hotel's sumptuous rooms and great services make it the perfect choice for a memorable stay in beautiful Prague. 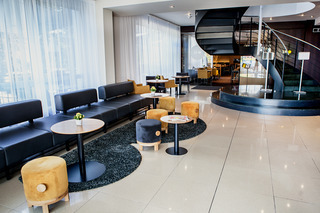 Sophisticated and imaginative, The Emblem Hotel boasts an unbeatable location in the heart of Prague's old town, only a stone's throw from the Old Town Square and Astronomical Clock, and one minute from Staromestska metro station. The Charles Bridge, Wenceslas Square, and National Museum are only a short walk from the hotel, and Prague Castle and the Petrin Lookout Tower are a short tram ride away, though they are also within walking distance.The hotel's guest rooms and suites are all elegantly decorated in cool, winter tones and feature a range of modern comforts such as Nespresso machines, complimentary Wi-Fi and tablet computers for guest use. After a busy day of sightseeing or meetings, guests can enjoy a coffee or cocktail and a light snack in the drawing room. The onsite spa is located on the top floor, offering a gym, sauna, steam room, ice fountain and Jacuzzi in addition to fantastic views of Prague Castle and the old town. Dating back to 1927 and sitting right opposite of the State Opera House, this Secession-style hotel takes a dignified place in the city scape of Prague. It is within a short 5-minute walk from both Wenceslas Square and the Main Train Station, while the Old Town Square can be reached for less than 10 minutes on foot. The surrounding area houses a number of excellent restaurants and high-end shops, but those who are looking for a stylish atmosphere and special food shouldn't look further than the onsite French gourmet restaurant. At it they can also sample some fresh takes on traditional Czech dishes and carefully selected wines to perfectly complement the nuances of the food. For those warm summer evenings guests can head to the charming summer terrace of the coffee bar, the perfect place to enjoy a chilled cocktail at the end of the day. Prague is the capital and the most important city of the Czech Republic, as well as being the capital of the region of Bohemia. It is set on the banks of the River Moldava, and is popularly known as the ""the Heart of Europe."" Among its many attractions, we recommend the 12th century Old Town Square, which is the centre of the oldest part of the city. Two buildings dominate the square: the Town Hall and the Church of Tyn. It is also possible to visit the Baroque Church of St Nicholas, the Kinský family palace and the Stone Bell House, which dates from the 14th century. 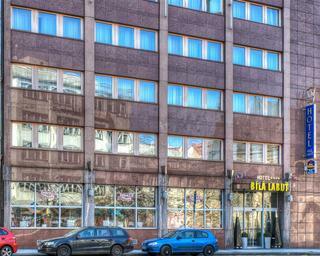 It currently houses some of the Prague City Gallery's exhibition and concert rooms. However, it is Prague Castle that is the true highlight of any visit to the city. It was founded in the 9th century, and nowadays it houses the Cathedral, the Royal Palace and many other important monuments. The city's old town has been on UNESCO's list of World Heritage sites since 1992. Discover Europe's heart, visit Prague!